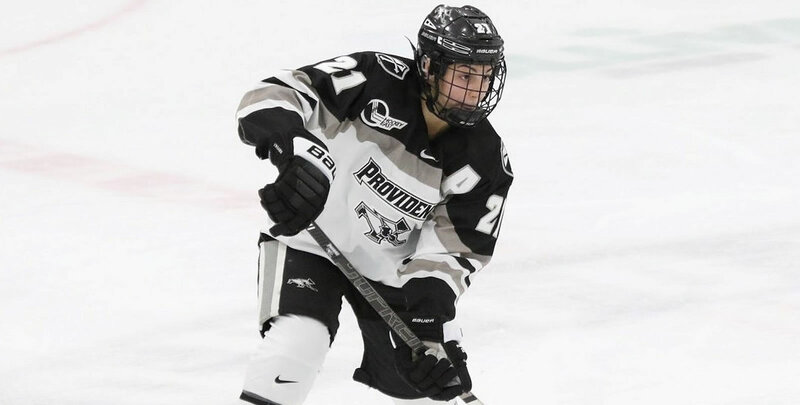 ORONO, Maine - The University of Maine women's hockey team was defeated by Providence College 2-1 Friday afternoon at Alfond Arena. First Goal (Providence 1-0): The Friars capitalized on the game's first power play opportunity to open the scoring on the afternoon. With players pressuring down low, Avery Fransoo fired a shot from the point that was kicked out for a rebound, which was handled and put on for another shot by Christina Putigna. Putigna's shot was kicked back out to an open Meaghan Rickard at the side of the net for the junior's tallied her fifth goal of the season. Second Goal (1-1): The Black Bears responded early in the second, as Celine Tedenby found the back of the net 3:12 into the middle frame. Daria Tereshkina stepped up along the boards to keep the puck in the offensive zone, and chipped it down to Vendula Pribylova at the half boards, where she fired a crisp pass across the slot to a wide-open Tedenby to fire in her 11th goal of the year. Third Goal (2-1 Providence): While on the penalty kill, Providence forced a turnover in Maine's end. Maureen Murphy corralled the loose and puck and sent a pass to Christina Putigna, who wired a shot over Jackson's shoulder and gave her squad a 2-1 lead for her second point of the afternoon. - Carly Jackson finished with 19 saves, as Madison Myers tallied 23 for the Friars. - The Black Bears defense remained aggressive, with the squad blocking 13 total shots. - With her goal, Celine Tedenby now has the fourth-most points for a rookie in a single season with 24. She passes Vanessa Vani '09 (2005-06 season) in the feat. The two Hockey East rivals will battle again tomorrow, Saturday, February 9th. Puck drop is scheduled for 2:00 pm.